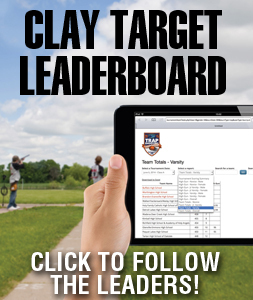 All current Michigan State High School Clay Target League student athletes and teams are invited to participate. 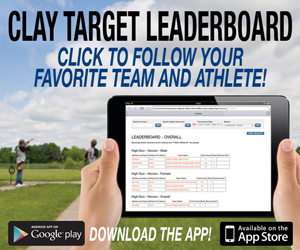 Coaches will login to their Team Management System and select “Tournament Registration” to select the participating athletes. No members can be added or changed after a team has submitted their roster. 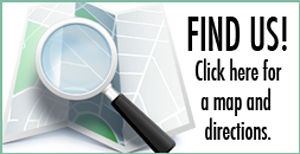 Please make sure all the information is correct prior to submission. 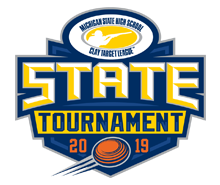 State Tournament rosters are available to be viewed and downloaded in the Team Management System. The State Tournament participation fee is $35 per student athlete. The fee includes competition targets and event t-shirt. The payment method for this participation fee is determined by each team when registering their student athletes for the event. Option 1: Registrant payment – Registrants receive an email with link for payment once the team has registered for the event. Payment must be made online via credit card, debit card, or ACH payment. No check payments are allowed for individual student athlete payment. Option 2: Team payment – Registrants pay the $35 fee to the team and the team will pay the League. Teams will receive an invoice and link for payment at the time of team registration. Team payments may be made online via credit card, debit card, or ACH check payment, or manually via check payment. Payment instructions are included in the invoice that is sent to the billing contact for the team. Any participant or attendee who does not adhere to League rules will be disqualified and/or asked to leave the event. The event committee reserves the right to make alterations in, or amendments to these rules at any time without notice.